Now let's go ahead and say, this is a trend that we may not all want to try. However, for those who are particularly daring in their fashion adventures, leather chaps lowrise jeans may just be a thing that's right up your fashion alley for autumn winter. They have been seen on countless celebs, running from Kardashians to supermodels, so we know they do look good on a range of body shapes and diverse celeb classes. Should you feel the need to try the trend on for size, you may want to inch into the idea by wearing the look for less. 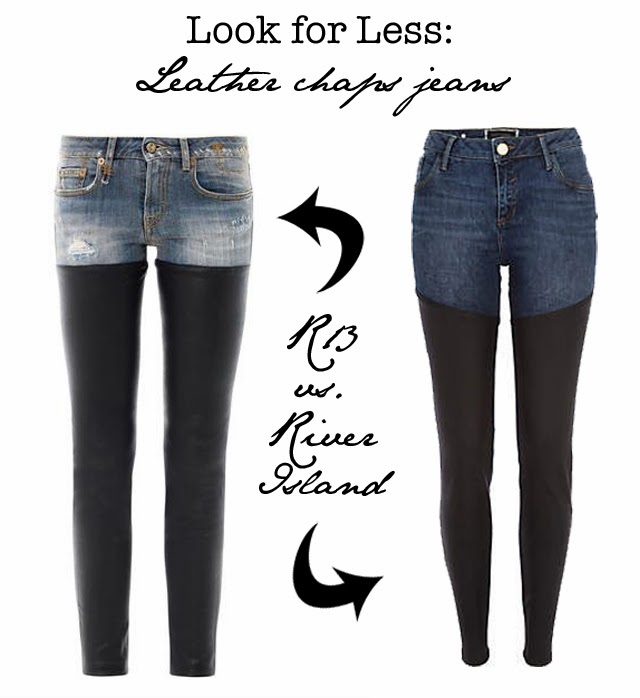 River Island is offering a look alike for the trend for £45. Not a bad entry point for price. Should you find you're head over heels and want to go the way of designer, throw yourself at the mercy of R13, who are offering the leather chaps lowrise jeans for £634.